Cir-Q-Tek is a manufacturing sourcing company that can turn your ideas into solutions—quickly and cost-effectively. Think of us as your “logistical center”. We have the means and expertise to find the right sources for your needs and the ability to manage the project every step of the way. With Cir-Q-Tek, you get domestic service at offshore prices. Reaping the full benefits of outsourcing requires effective integration between domestic and offshore entities. It is imperative that the communication process flows smoothly. Our offices are located in the U.S. and in Shenzhen, China. Our experienced overseas staff is fluent in both Chinese and English. That’s one of the key advantages of putting Cir-Q-Tek’s expertise to work for you. Our capabilities run the gamut. 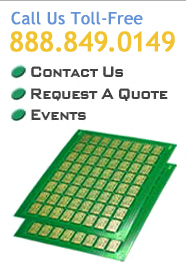 While our core expertise is in Printed Circuit Boards, we also provide solutions for clients with needs in Precision Metal Products, Injection Molded Plastics, High Quality Die Castings, Custom Cable and Wire Harnessing, Power Supplies and more. Incidentally, the “Q” in our name stands for quality. And that’s exactly what you’ll see when you do business with us—in the service we provide, in the expertise we offer, and in the caliber of manufacturing companies with whom we partner. All of them are ISO9000, ISO9001, ISO14000 certified, and presently being TS16949 certified. What’s more, you can count on us for unwavering quality control and a consistently high level of technical support. Cir-Q-Tek represents a variety of Printed Circuit Board shops located in mainland China and Taiwan. As their technical liaison and quality auditor, Cir-Q-Tek makes doing business in the orient as simple as dealing domestically. 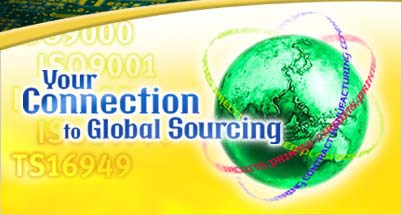 Orders are placed with Cir-Q-Tek, which in turn, handles all of the required data compilation and technical expertise. This smooth flow of communication is key in producing a quality product. The facilities are UL approved, ISO9002 certified, and three of our facilities are QS9000 certified. The logistics of managing product transportation, importing, and exporting is all handled by Cir-Q-Tek. After an order is placed, we work in conjunction with the client for deliveries. Cir-Q-Tek will also stock and distribute the product for “just in time” service.